2-1/2 cups Chocolate Chips, I used dark chocolate chips because of their health benefits. 1/2 cup coconut milk, (canned, not in a carton) Keep in mind the fats from coconut milk are the good kind. Add chocolate chips, coconut milk, honey and salt, stir to combine. Cover and cook on low 2 hours without stirring. It's important that lid remain on during this 2 hours. After 2 hours, turn the slow cooker off, uncover, add vanilla and stir to combine ingredients. Allow to cool in uncovered slow cooker, until fudge has reached room temperature...approximately 1 hour. Using a large spoon, stir vigorously for 5-10 minutes until it loses some the gloss. Lightly spray a 1 quart casserole dish with nonstick cooking spray. Pour fudge into dish, cover and refrigerate 4 hours or until firm. Cut into 30 pieces. 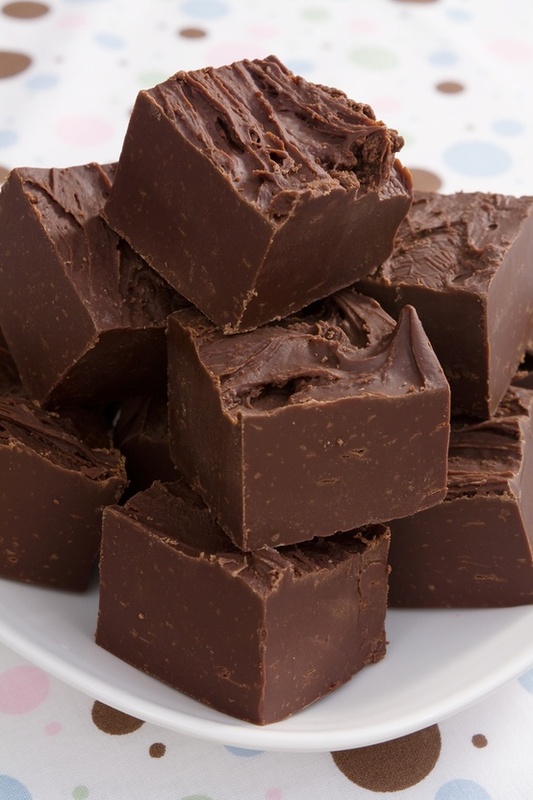 This fudge is very rich and meant to be eaten on occasion as a treat.